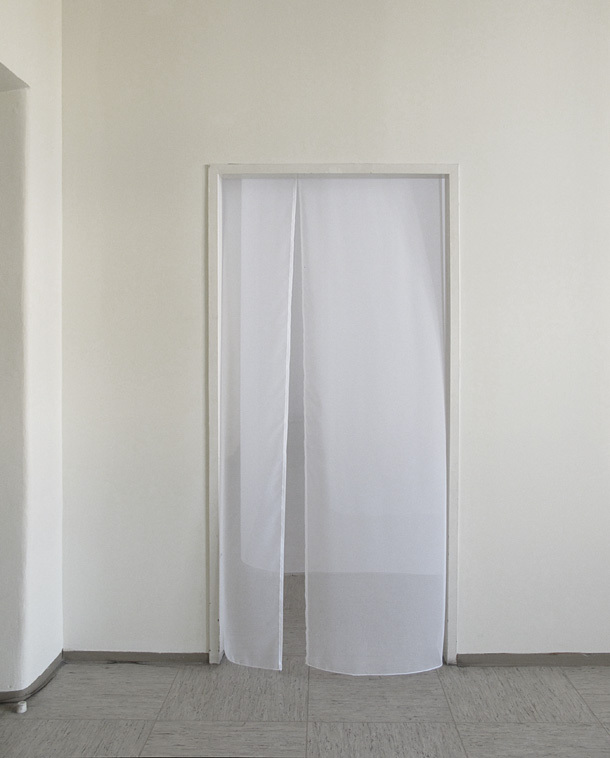 The work Curtain Room is – as the title indicates – a room defined by curtains. 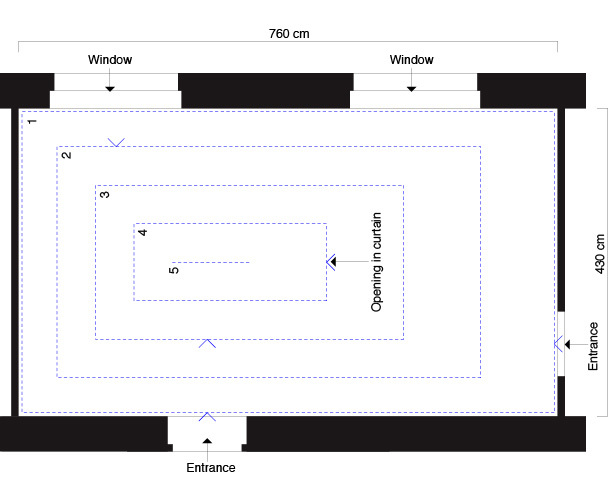 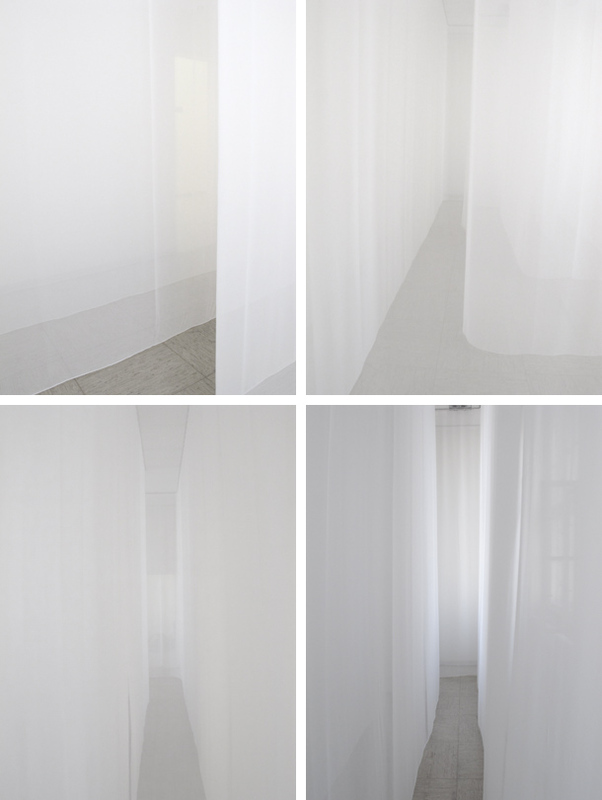 The curtains are semi-transparent and create five concentric rooms which you can enter. 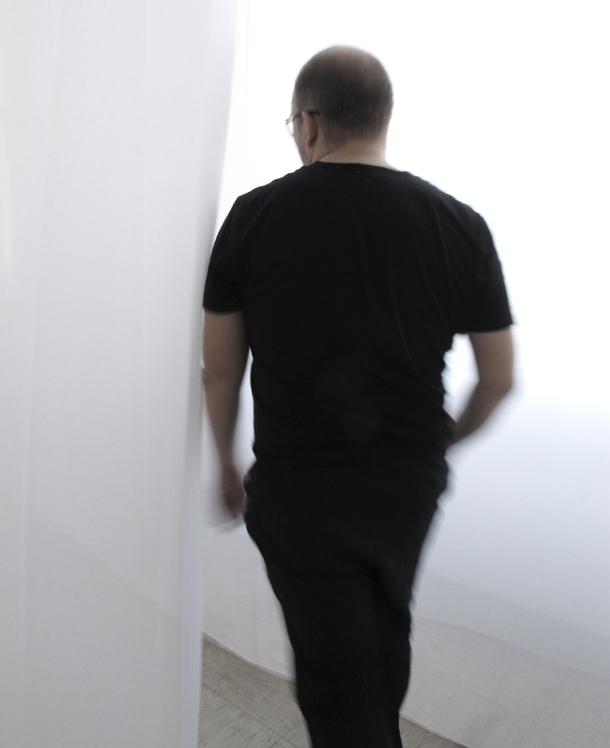 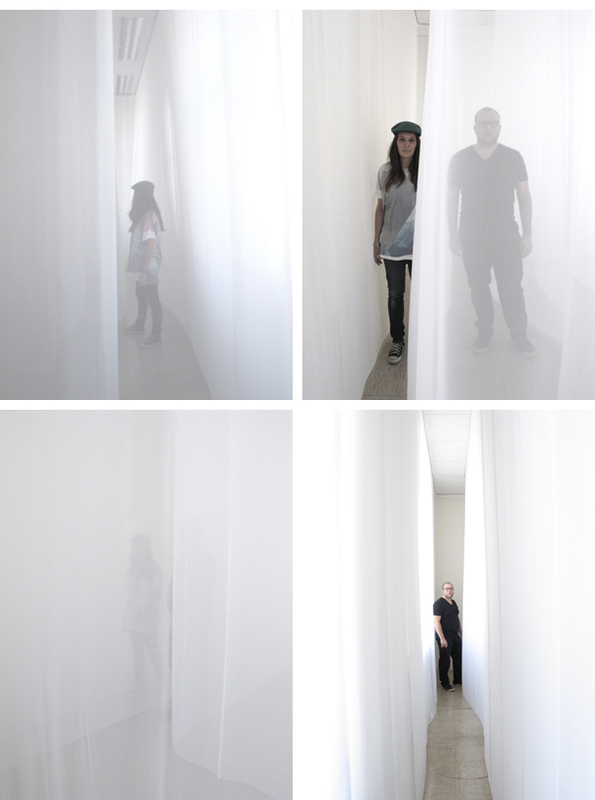 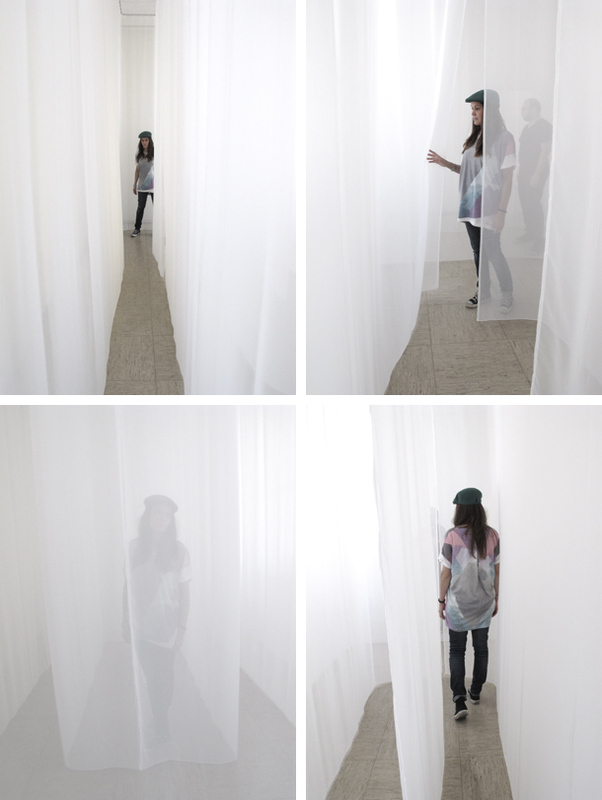 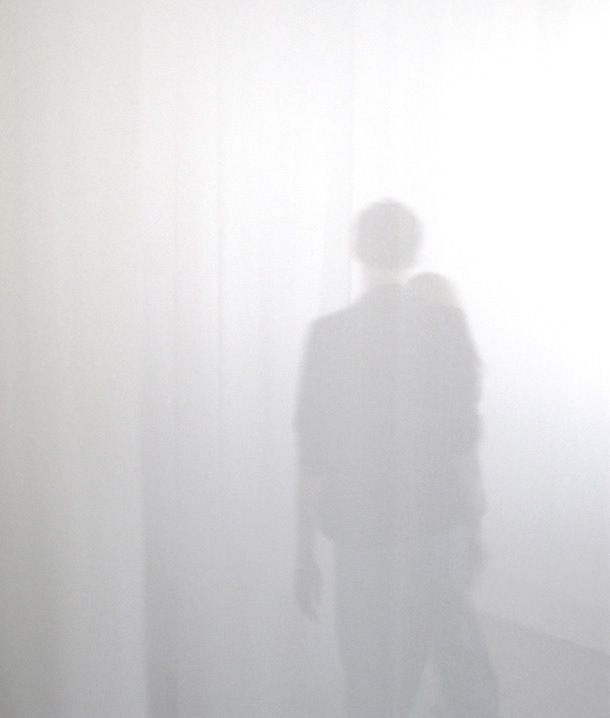 The rooms unfold as a performative space in which the shifting layers of semitransparent filters change the relations between the persons in the room. 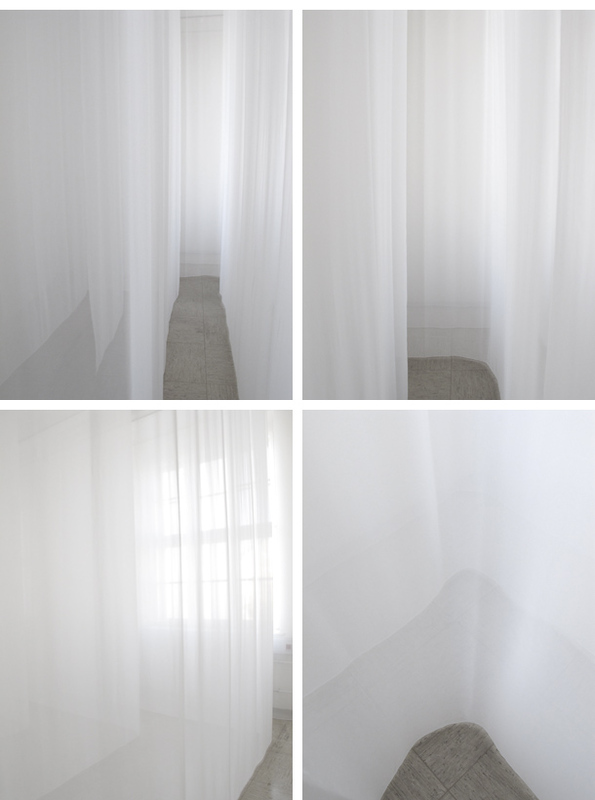 The curtains also filter the inflow of sunlight and change the experience of the surrounding space.